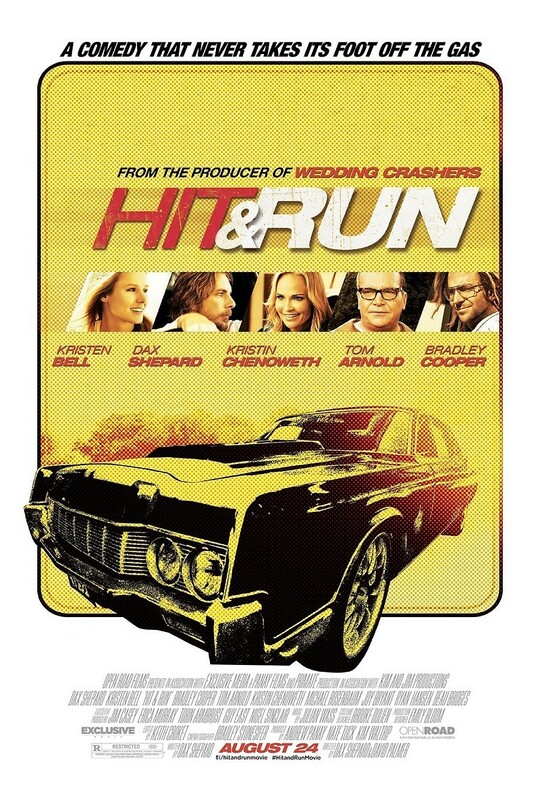 Hit and Run DVD and Blu-ray release date was set for January 8, 2013. Charlie Bronson's past become intertwined with girlfriend Annie Bean's future when Annie has a chance to interview for a prestigious job in Los Angeles. Bronson is in the witness protection program after testifying about his part in a botched bank robbery. One of the stipulations of his agreement is that he can't be in Los Angeles, but he decides to drive Annie to her job interview anyway. The pair head off to the city with a number of people on their tail, including Randy, a Marshall who is supposed to keep an eye on Charlie, and Annie's former boyfriend Gil. Gil has also complicated matters by telling one of Charlie's former partners in crime where to find his stool pigeon ex-partner.